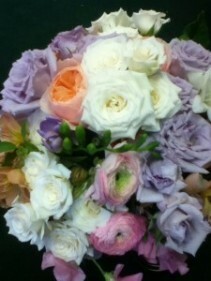 Today is your wedding day!!!! 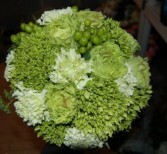 Let us help you celebrate, with the perfect choice of wedding flowers. 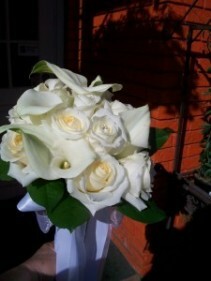 Our professional deigners will help you chooce the bridal flower bouquet and flowers for your attendants. 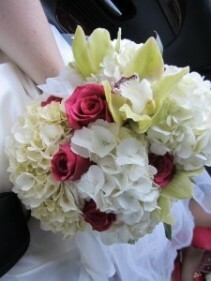 Wedding bouquets should accent your dress not to big to over prower the pictures but big enough to been seen. 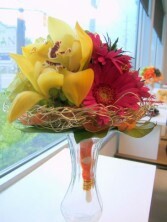 CR Flowers also helps you with flower arrangements for the ceremony and reception. 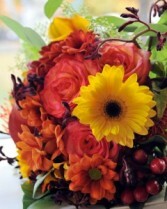 Muskoka is the most perfect place to celebrate. 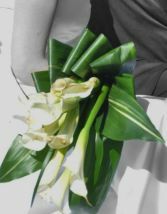 Whether you need just a bridal bouquet of flowers or flowers and decorations for the whole event CR Flowers is the place to help you. 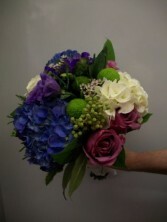 This stunning bouquet includes hydrangea orchids and roses. 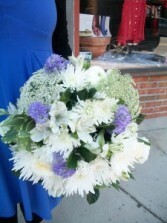 What bride wouldn't want to carry this bouquet. 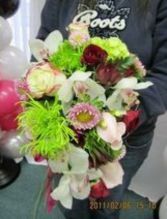 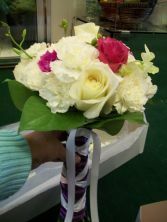 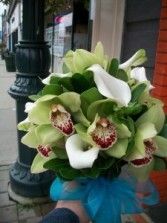 CR Flowers & Gifts custom designs a wedding bouquet Just for you. 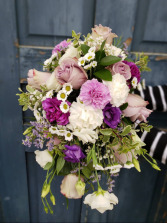 Soft a pretty in whites and purples is a stunning bouquet. 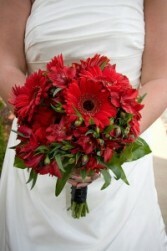 I bouquet of red gerberas encased in red alstromeria make a stunning vibrate bouquet.